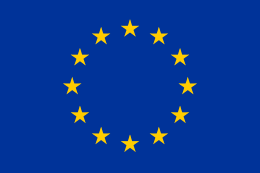 The European Parliament election of 2004 in Germany was the election of MEP representing Germany constituency for the 2004-2009 term of the European Parliament. The vote was held on June 13, 2004. The elections saw a heavy defeat for the ruling Social Democratic Party, which polled its lowest share of the vote since World War II. More than half of this loss, however, went to other parties of the left, particularly the Greens. The votes of the opposition conservative parties, the Christian Democratic Union and the Christian Social Union, also fell, though not as sharply as the SPD's. The liberal Free Democratic Party improved its vote and gained representation. 1 2 "Wahl zum 6. Europäischen Parlament am 13. Juni 2004" (in German). Bundeswahlleiter. Retrieved 2012-05-05.